Diner Dash was one of the first incarnations of the modern casual game: simple mechanics that are easy to learn and hard to master. Wikipedia says that publisher PlayFirst has seen over 550 million downloads of the game in its various versions, to say nothing of sequels and spin-offs. That's probably why Glu Mobile, one of the more visible mobile game publishers, has snatched up the company. Glu's stock priced jumped 8% this morning on the announcement. Glu's press release says they they've acquired 3 million shares of PlayFirst stock and will be assuming $3.55 million in debt in the deal, which is expected to close next month. 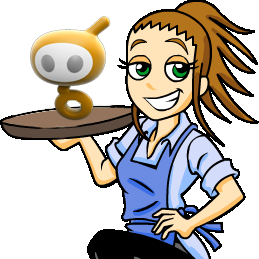 In addition to the Diner Dash series which has released games on the PC, Xbox 360, PS3, Wii, Nintendo DS, PSP, and of course Android and iOS, PlayFirst has released other versions starring poster girl Flo, like Cooking Dash and Hotel Dash. The company has also created kid-focused licensed games for properties like SpongeBob Squarepants, Hotel Transylvania, and The Mortal Instruments. PlayFirst's games outside the primary "Dash" series don't seem to climb the charts in the same way. Glu Mobile has been around since 2004, the same year that Diner Dash was first released, and has released dozens and dozens of games on Android and iOS, nearly all of them using the free-to-play model. While the company is certainly profitable and has its fans, a reliance on dual-currency systems and manipulative "free" marketing has made it poster child for everything wrong with the dominant in-app purchase style of mobile games. PlayFirst has already started work on a new Diner Dash title for late 2014, and you can bet your baloney sandwich that Glu will use its typical in-app purchase system for that game and all forthcoming PlayFirst properties. 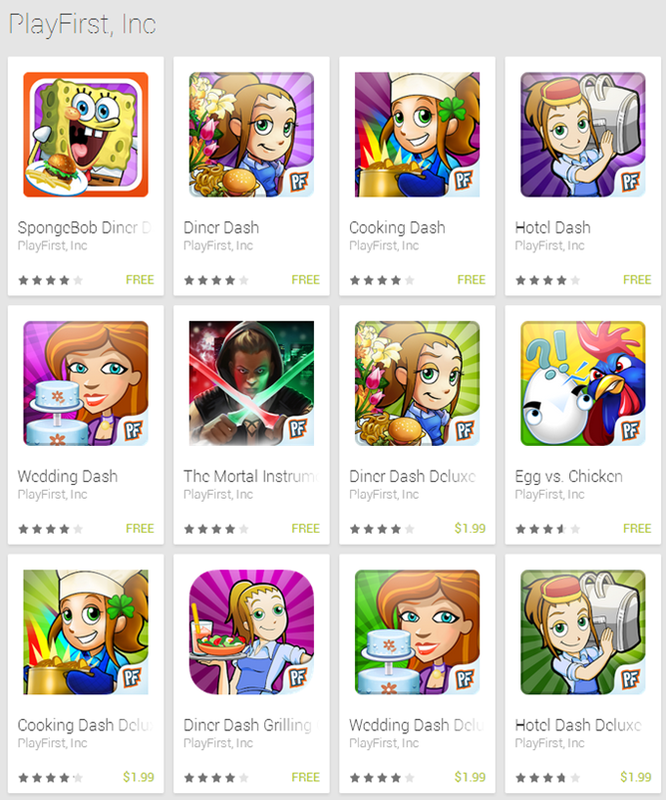 San Francisco, Calif. - April 30, 2014 - Glu Mobile Inc, a leading global developer and publisher of free-to-play games for smartphone and tablet devices, today announced that the company has agreed to acquire PlayFirst - creators of Diner Dash(R), Cooking Dash(R), Hotel Dash(R), and Wedding Dash(R). The DASH(R) series in aggregate has been downloaded more than 750 million times across all platforms over the past 10 years. "PlayFirst brings to Glu one of the largest casual gaming brands of all time, as well as the studio-DNA to take Glu's casual portfolio to ever greater heights. We are delighted to add PlayFirst to the Glu family and look forward to the launch of a free-to-play Diner Dash mobile game in Q4 2014," said Niccolo de Masi, Glu CEO. "Glu continues to search for globally-recognized IP that can be reinvigorated by leveraging our global studio and publishing organizations," said de Masi. "We remain dedicated to creating and growing franchises such as Contract Killer, Deer Hunter, Eternity Warriors, Frontline Commando, Stardom, and now, DASH." Combined with the company's existing casual franchise, Stardom, out of the Glu Canada studio, Glu will have critical competitive mass in the casual genre - both from an IP and talent perspective. The newest game in the Diner Dash franchise will launch worldwide in Q4 2014 as a fully free-to-play mobile game. Glu's global reach and scale will enable Diner Dash to accelerate and broaden the title's reach to a worldwide audience. PlayFirst's talented studio team will operate on a stand-alone basis and report directly to Glu's President of Studios. In 2015 we anticipate the launch of the first fully free-to-play versions of Cooking Dash and Wedding Dash. Glu agreed to pay total consideration of 3 million shares of the company's common stock plus the assumption of approximately $3.55 million of PlayFirst's debt. Glu expects the acquisition to close by the end of May 2014.